Reminds me of a little known stock I bought back in the early 80s. It sold for around $24 a share and I had several hundred shares. It would split when it rose above about $48 a share and it did that about 2-3 times a year. I had over a thousand shares when the "Big D" came along and the X wanted her share. I sure wish I had that stock today. The share count today would be in the millions. I guess it just wasn't meant to be. 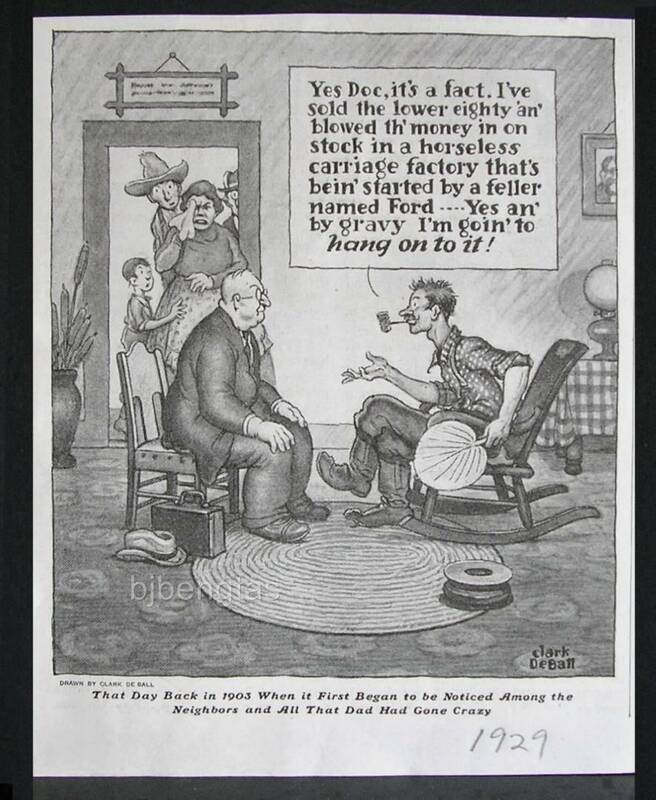 Maybe someone can fill it in about a mother of one of Ford's early investors that bought a share for $100 or some such fund and later sold it for millions. Too lazy tonight to look it up now. You are thinking of Rosetta Haus, James Couzens' sister. She and he debated over whether or not to invest the full $200 of her life savings. After considerable discussion, they decided to risk only $100 and bought one share. She was later paid over $300,000 for it by Henry Ford when he bought out all the minority shareholders. Of course, that one share earned a conservable amount of dividends between its purchase and its sale.